Everybody loves a yummy, ooey gooey s’more treat around the campfire and everyone loves ice cream. 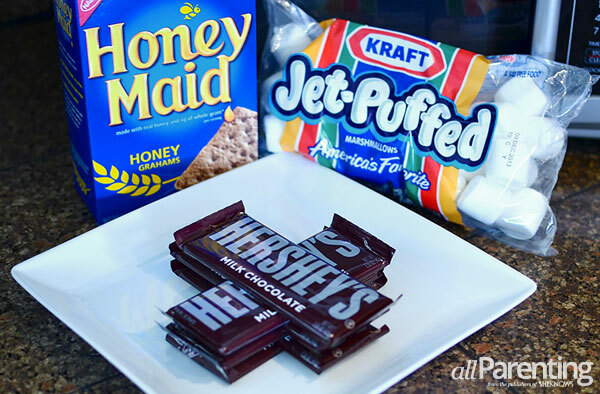 Why not combine them together to create these individual layered ice cream s’mores? 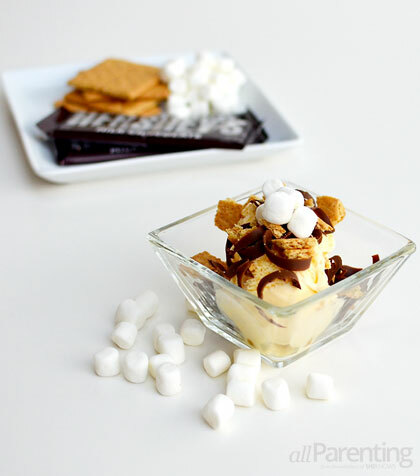 Graham crackers, chocolate and marshmallow ice cream all layered together for this new campfire treat! Who said s’mores have to be hot and made over a roaring fire? Why not cool off this summer with cold and refreshing s’mores flavors in ice cream form? 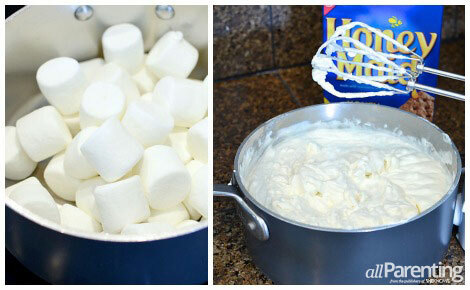 Homemade marshmallow ice cream is easy to make and full of delicious flavor. Crumble some graham crackers at the bottom, scoop the ice cream on top, shave some chocolate over the ice cream and you’ve got yourself a real summer treat! In a large pan, add marshmallows and half-and-half. Cook over medium heat until marshmallows melt, stirring frequently. Remove from heat and cool at room temperature. 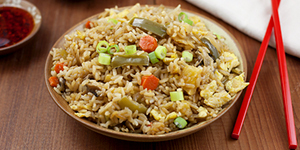 Place pan in refrigerator to completely cool, about 25 to 30 minutes. Meanwhile, put heavy cream in mixing bowl. Using electric hand mixer, whip cream into soft peaks. Remove cooled marshmallow mixture from refrigerator and stir. Add whipped cream and vanilla extract to marshmallow mixture. Blend well using electric hand mixer. Add mixture to ice cream maker and follow manufacturer's instructions. In a small serving bowl, crumble graham crackers. Top graham crackers with 2 scoops of homemade marshmallow ice cream. Using a wide vegetable peeler, shave chocolate bars over ice cream. Top with more crumbled graham crackers and mini marshmallows.